​It is indeed a deeply felt privilege to join you all this morning as we gather to celebrate the legacy of our fine women writers and in particular to remember Rose Scott, whose memory and contribution are honoured in the naming of this festival. At the outset may I record my respect for the traditional custodians of the land upon which we gather — the Gadigal people of the Eora nation, their ancestors and descendants, — indeed, for all Australia’s indigenous people who have nurtured this land for tens of thousands of years. In so many aspects of her life, it is fair to say that Rose Scott led the way. One of eight children, she was born in October 1847 and grew up at Glendon near Singleton where father served as the police magistrate, as well as being a pastoralist. Her mother, Sarah Ann, blessed with a dedication to learning and scholarship, was a linguist who was clearly capable of inspiring and educating her two daughters, Rose and her sister Augusta at home, the brothers being sent to boarding school. Indeed, Rose undertook the care and support of her mother following her father’s death, and also the care the following year of her young nephew following Augusta’s death. 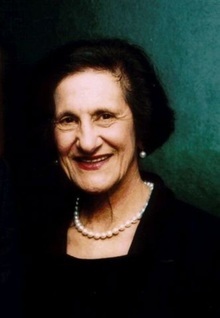 Rose subsequently settled in vibrant Paddington, living near Trumper Park thus having the stimulating contact of artistic and intellectual groups, whom she frequently entertained at her home. Perhaps foremost among the several inspirational causes she supported was the advancement of women. She became a valuable strength as a foundation member in 1889 of the women’s literary society, from which two years later, the womanhood suffrage league was formed. The strength and integrity of her leadership, despite some differences within the league over policies, ensured the continuing development of that organisation. Other social reforms followed, and also the foundation of the National Council of Women in New South Wales in 1896 in which she subsequently served as international secretary. Rose also served as president of the women’s committee of the prisoners aid association, and advocated for the establishment of a separate prison for women. She even gave time to organise (with male support), the tailoresses’ union of New South Wales. And perhaps most enduring of all, following the granting after federation right across our commonwealth in 1902, of the right of all women to vote, she became the first president of the Women’s Political Educational League. The league’s wise and lasting contribution was to organise the education of women in the value and the use of the vote. This also meant urging them to ensure that their names were on the electoral roll. Indeed, in regarding Rose’s leadership of wisdom and integrity, it seems that there is no limit to the richness of her immense legacy. She was involved in the establishment of the women’s college within the University of Sydney (for which, as a former student, I shall be forever grateful). And as a pacifist, she actively opposed Australia’s involvement in the Boer war. She was also a supporter of international arbitration, and took on the leadership role of president of the Sydney branch of the Peace Society. It is noteworthy that Rose Scott attributed her early interest in feminism after becoming familiar with William Shakespeare’s great play “The Taming of the Shrew”. There is a fine portrait of this inspirational woman, painted by the artist John Longstaff. It is held in the Art Gallery of New South Wales. One cannot possibly overestimate the legacy of Rose Scott to Australian women, indeed to the whole enlightened population of Australia, working throughout her life for women’s rights, and for opportunities, which would realise their potential. A woman of extraordinary courage and vision. Rose died at home on 20 april 1925, at the age of 67 years, but her great legacy lives in so many ways across our nation today. “avoid distinctions of class and creed, party politics, and squabbles with men." “such things limit one’s outlook and dim one’s vision. Learn to distinguish between the good and the evil in every reform, and remember woman’s causes is man’s." "never descend to personal abuse. Be sure of your facts, and remember that every cause demands patience and self sacrifice." Enduring wisdom, which we could wisely hand on to our young Australian’s today.